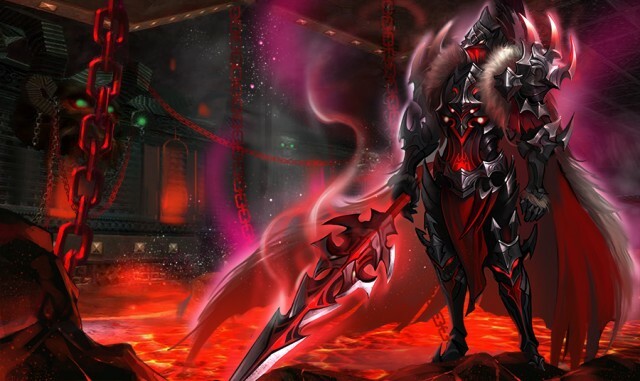 The Dark Paladin is a mysterious warrior with enchanted armor said to have been forged in the fires of hell. His menacing appearance is effective at instilling fear into his opponents before he strikes them down in a furious rage. Few know how he came to be, but it is rumored he was once a peaceful inhabitant of the human world before demons enslaved and tortured him endlessly for thousands of years. Hero Skill: Unholy Fury – Deals (130% PATK +360) damage to the enemy’s front row, casts a shield around his body equally to 21% of his HP (lasts 2 turns), and returns 21% of the damage dealt as HP to the Dark Legionnaire.